PHP is the most widely used server side scripting language used to create dynamic web and business applications. This simple and most easy to use scripting language enables developers to create innovative web applications using a variety of advanced features. PHP codes can be integrated with various web content management system (CMS) and frameworks can also be embedded into HTML5 or HTML to create fully-functional applications efficiently. We are a leading PHP application development company having a team of expert and experienced PHP professionals. We develop highly scalable and robust PHP applications based on the best industry practices for every vertical of the industries. 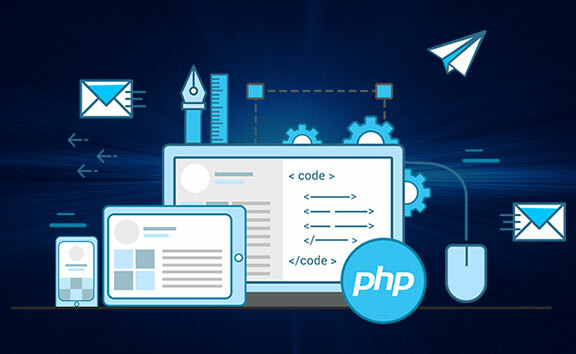 With our expertise in rendering state of the art PHP application development services and compliance with business objectives and workflow management, we help our clients to achieve higher ROI by reducing the development cost of business transformation with our state-of-the-art PHP applications. Laravel is a free and open-source PHP web framework that facilitates web applications the development based on MVC (model–view–controller) patterns. Laravel enables diversified ways to access relational databases and utilities for effortless application deployment and maintenance. It offers a wide range of functionalities that ensure high security for the web applications. With Artisan CLI, Laravel offers various commands that aid in building robust applications. Being a pioneer Laravel application development company, we do offer Laravel development services addressing holistic business requirements for web applications. Our team excels in all PHP frameworks including Laravel. We have built enormous eye-catching Laravel applications for various industry domain and helped organizations to reach the high profitability levels cost effectively. Yii is an object-oriented and component-based open source MVC PHP web application framework. 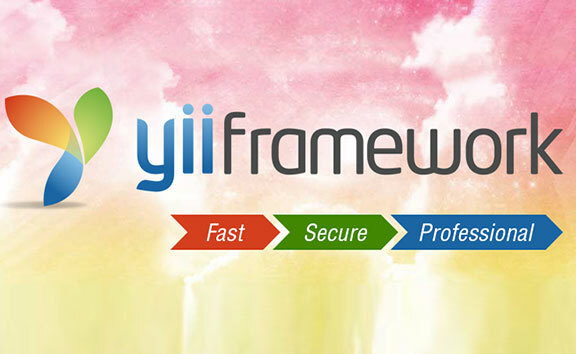 Yii is ideal for developing web 2.0 applications. The platform offers many intuitive features including I18N/L10N, MVC, caching, DAO/ActiveRecord, role-based and authentication access control, testing, and scaffolding and much more. Yii helps significantly reducing application development time and aids in creating high-performance packages. With skillful teams of Yii professionals having several years of experience in Yii development services, we build high performance, secure, and quality applications that are not only fully-functional but scalable. We specialize in Yii framework to build full-stack solutions including query builders, RESTful APIs, and relative and NoSQL databases using ActiveRecord. We also provide extensive multi-level caching support with our simple yet efficient Yii applications for any business domain irrespective of its type and size. 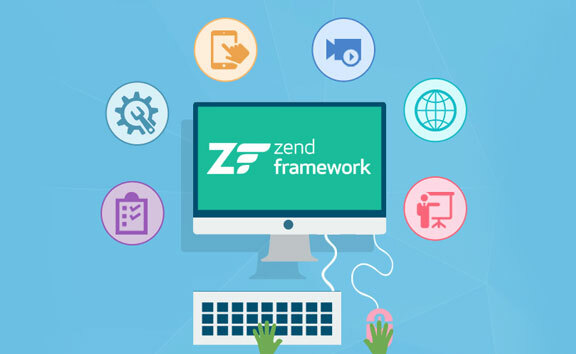 Zend is a PHP development suite that provides all-encompassing tools and features required for entire application development starting including development, debugging, protecting and deploying. It is a full-stack PHP IDE that facilitates application distribution as well using its license management tools. With its comprehensive features, PHP Zend also helps to improve the productivity using its Eclipse plugins available in its library. Zend is one of the specialization, we have acquired in recent years. We develop extensible applications following the standards for PHP-FIG. With a team of truly dedicated team of Zend developers and a proven record of serving many eminent clients, we endeavor to deliver enterprise-ready applications compliant with industry standards. 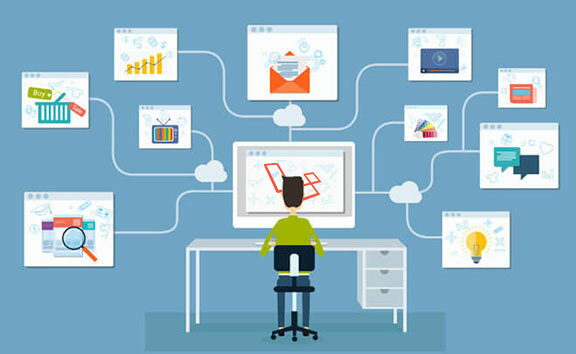 Our sophisticated Zend development services help businesses to optimize their website performances cost effectively. 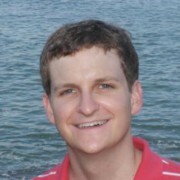 CakePHP has been conceptualized on Ruby on Rails and is an innovative open-source framework that follows MVC approach. CakePHP uses most widely used software design patterns including MVC, association data mapping, active record, and front controller. 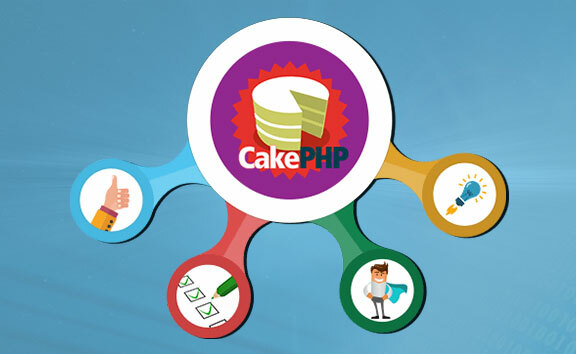 CakePHP allows developers to build amazingly functional applications with minimum code effortlessly. This efficient development platform allows simpler, faster and efficient application development with fewer configuration requirements. We have an aptitude to build fast, smart and rich CakePHP applications that help our clients to bolster their businesses with minimum effort. Our CakePHP development services include RIA (Rich Internet Applications), customization CakePHP solutions, CakePHP website upgradation, enterprise CakePHP development, and CakePHP web development in addition to high-quality CakePHP application development. We follow CMMI Level-3 standards and proven methodologies to deliver eminent CakePHP services. CodeIgniter is an open source framework for rapid development of full features applications effortlessly. 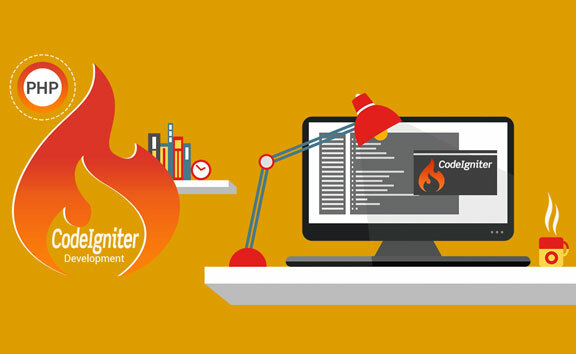 CodeIgniter encourages MVC to build simple solutions for complex requirements and offers built-in high-end security features to protect applications against XSS and CSRF attacks. With nearly “Zero” configuration requirements, CodeIgniter does not have any compatibility issues. It provides a comprehensive library consisting of the rich set of modules and toolsets allowing developers to build feature-rich websites. Prior to taking on a project, our CodeIgniter developers analyze the business requirements and anticipate the development strategies. We focus on developing readily upgradeable, flexible and maintainable applications using CodeIgniter. Our CodeIgniter development services include full-cycle development with social network integrations and create light websites that are easily expandable. With a crew of well-equipped team of professionals having an expertise of several years in CodeIgniter framework, we deliver client-focused solutions.